If you are interested in becoming a member, please contact our Welcoming Community Ministry Team! 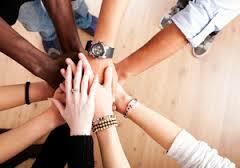 At UUCJ we have established and regularly reaffirm our Behavioral Covenant with one another. Throughout the year there are many opportunities to form meaningful and lasting relationships with a diverse community. Check out our Church Calendar to see upcoming events! 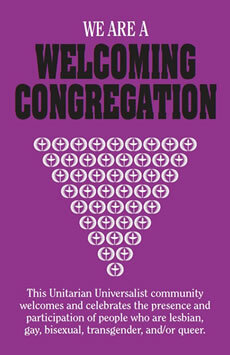 UUCJ is a Welcoming Congregation! This is Mississippi, and we love to share food and conversation! Every Sunday at 10:30 a.m., we have a Coffee Fellowship where we share a cup of coffee, a snack, and conversation! Sign up for Hospitality to bring a snack to share or to help make coffee and serve. 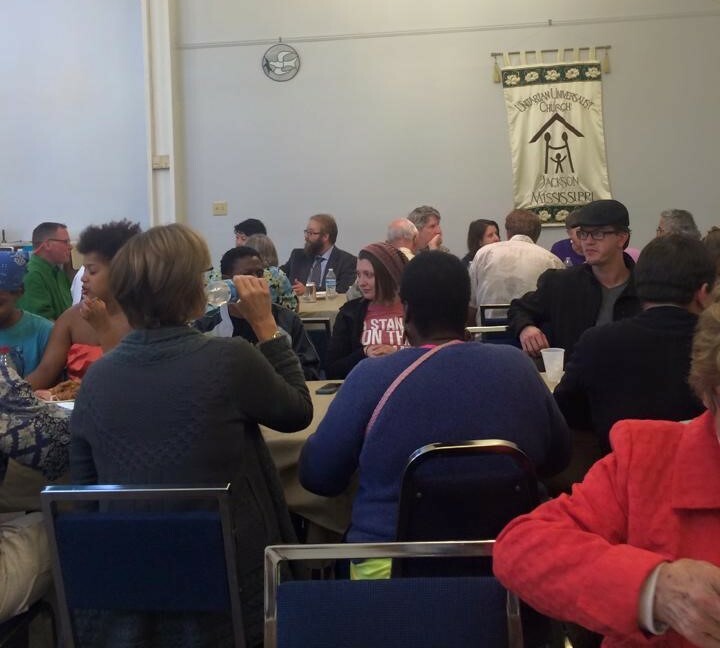 O n the 3rd Sunday of every month (or on some special Sundays), we hold a congregational Potluck Luncheon. Sign up at Perfect Potluck to see what tasty dishes are on the menu and record what you’ll bring. On other Sundays, we gather at a local restaurant with the Lunch Bunch. Check out the Church Calendar to see where we’re heading! Contact the Welcoming Community Ministry Team! Do you have ideas for the Welcoming Community Ministry Team to promote connection and community? Would you like to get involved? Please contact the Welcoming Community Ministry Team to find out how you can contribute!